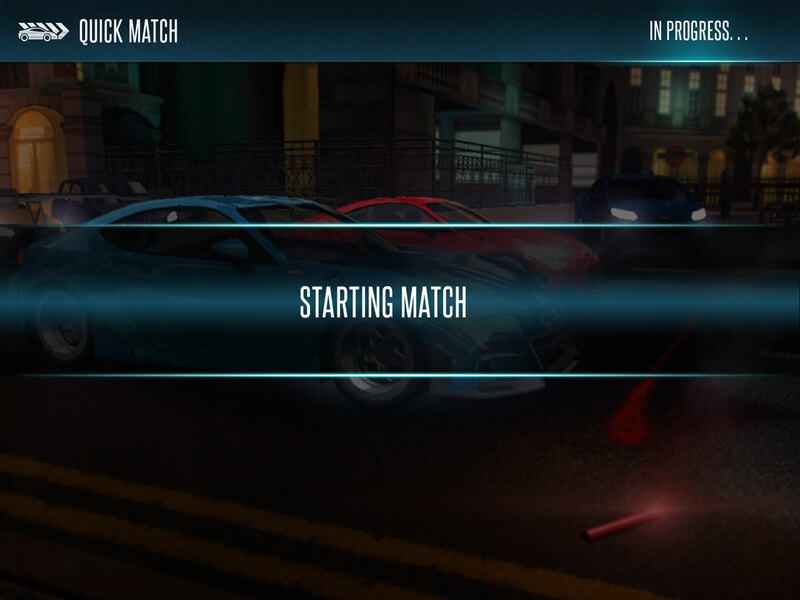 This feature seeks to create a new type of matchmaking for our game. Currently, users are put into a lobby where they can challenge or be challenged by others. This affords users the opportunity to see the vehicle they are about to race against, but is sometimes difficult to find a match with. Users can also, technically, do a somewhat quick match by joining Tournaments, which is supposed to find 4-8 users of similar speed rating to race in a Bracketed Tournament. This still relies on finding enough users who fit within a restriction to fill the brackets. Adding in a new mode will allow users to rapidly match up with similarly rated users. Instead of waiting in a Lobby, users can simply queue up, be matched, and then race for some quick cash. This allows people to engage the game quicker and easier, and also creates a form of live PvP that seems less intimidating. 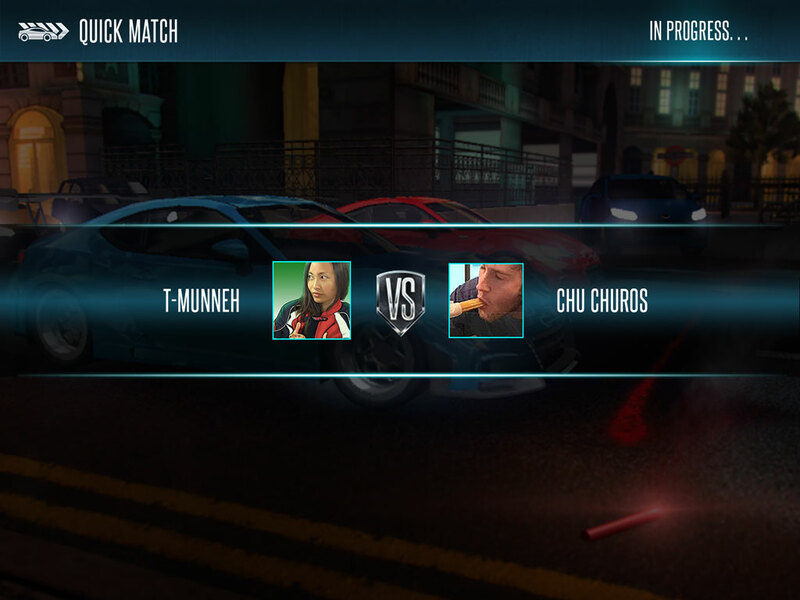 Users are often put off by entering Lobbies because they are perceived as being full of superior players, but Quick Match, if built correctly, will allow users to race against people who they know are matched to them specifically. And new users who just want to get to racing part can hit this button to being matched quickly, instead of having to deal with every member of a lobby trying to pink or raise them for all their starting cash. Quick Match will take advantage of our Tournaments system to create a 1v1 Tournament, matching players by speed rating. This Tournament will have no ante – players will simply receive the normal payouts for win and loss according to their Car Class. This feature will live in its own map location, and will serve as an early introduction to Multiplayer for new users. 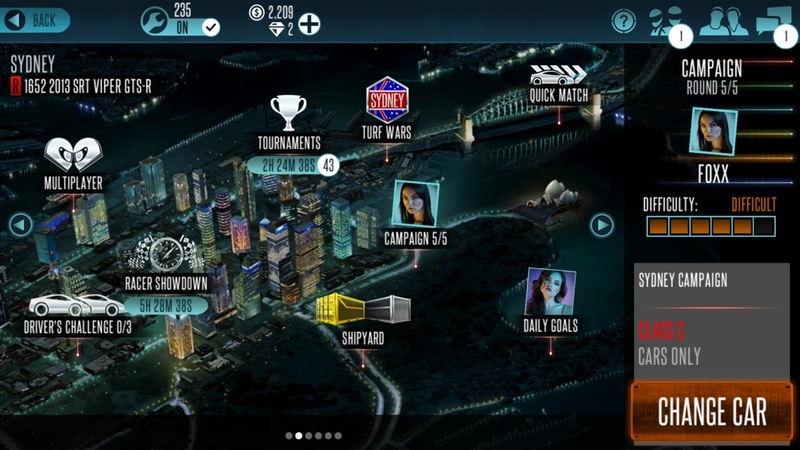 When the user has finished a race, they will have the option to Return to Map or Find Another Racer, and be re-entered into the Quick Match queue. Currently, Tournaments only return the user to the map, so the Re-Queue will be a new feature. 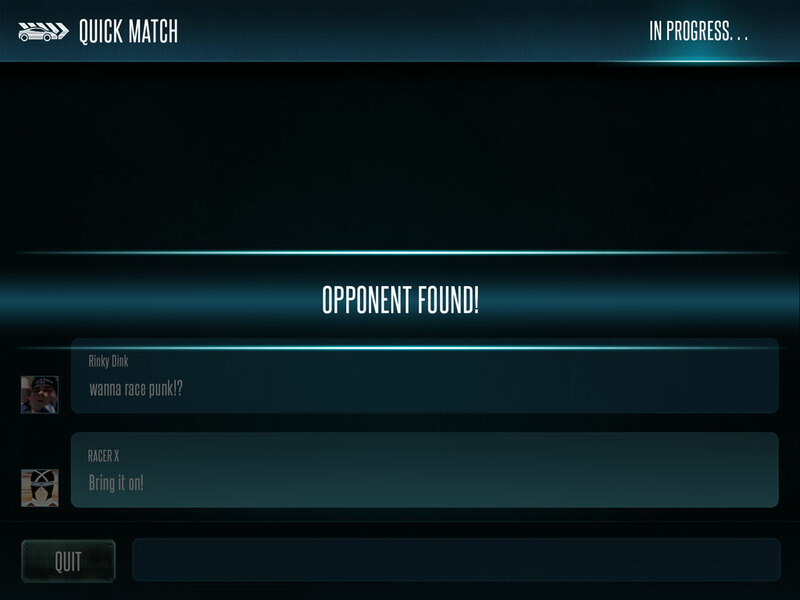 Once you click Quick Match from the map, it will send you directly to the Quick Match Lobby. 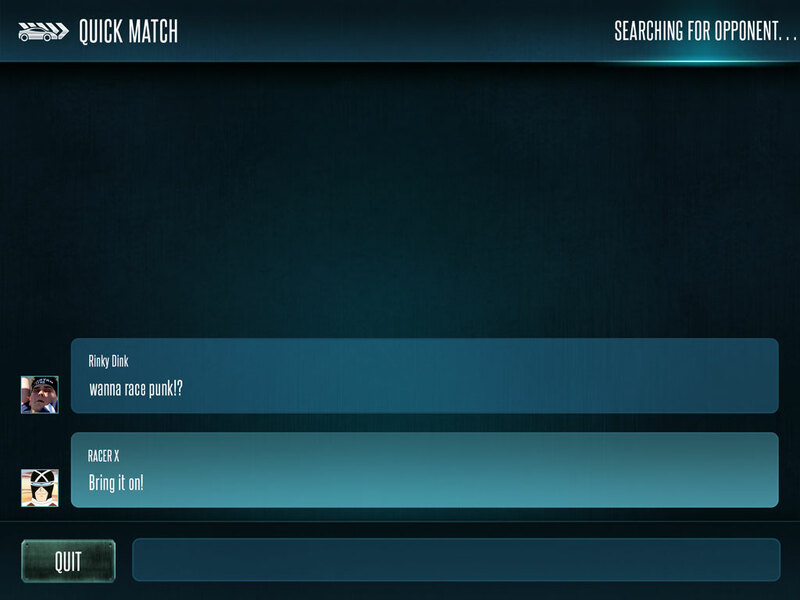 The lobby is the global chat system paired with a matchmaking engine. Once it finds a player for you the race will begin. Matchmaking is completely random, but based on your current car rating.